Hi folks! 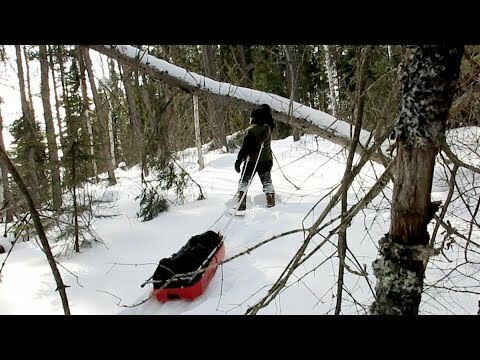 This is a video of a scouting day-trip ("recce") to an old winter campsite of mine, to prepare resources for a future winter base camp. Nothing exciting, the "usual" mundane stuff: trail pack, firewood collection, and spruce bough collection. This site was hit by a windstorm and there are several blown down black spruce with green limbs, which are going to die anyways, so might as well use them. My former firewood cache was knocked down and pinned under blowdown, so I collected more poles and stacked them to stay dry and shed snow and rain. I hope to get out to use this site soon.